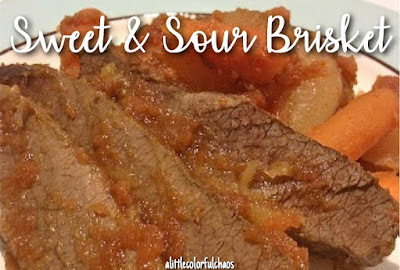 Well, who would have thought that making a brisket so tender and full of flavor was easy??!! Not me! The hardest part of this meal was actually finding a grocery store that carried beef brisket. After Googling from the parking lot of the 2nd grocery store I went to, I found Mr. Kosher Meats who supplied me with this 4.6lb all beef brisket. Yes, this was the smallest one they had. I make a lot of chicken and a lot of dishes that have ground turkey as the main meat source. It was time to finally learn how to make something more challenging and what better than my Great Aunt Bea's brisket recipe? This meal did require a trip to Bed Bath & Beyond because a roasting pan, I did not have. I also bought an electric carving knife, but low and behold, this brisket was so tender, J was able to use a regular carving knife to slice it. My sister, my aunt and I when we went to see the Statue of Liberty. 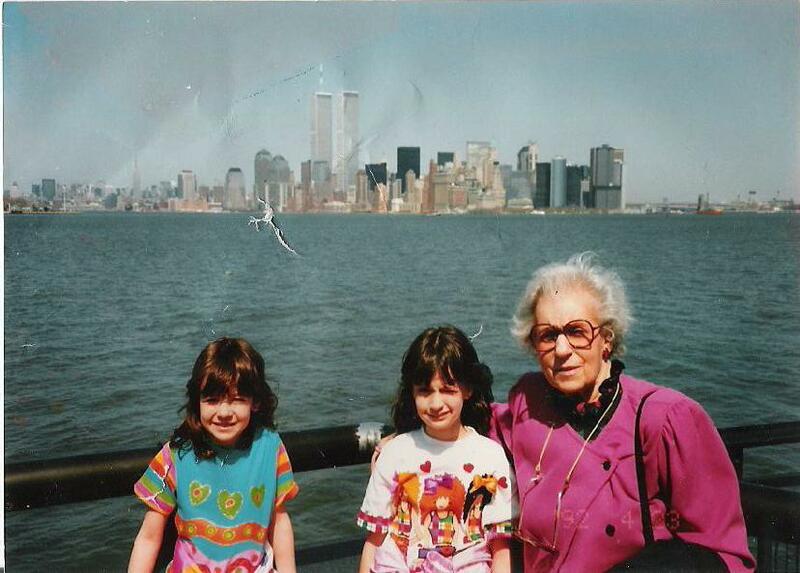 Check out the Twin Towers behind us...crazy! My great Aunt Bea was an amazing woman who just recently passed away at the age of 99. She lived in NYC and her brisket was always a staple when we went to visit. I was lucky enough to spend the summer of 2011 in NYC for work and I got to spend a lot of time with her. I'd give anything to be able to call her now and tell her what a success the brisket was. I know she would be proud. I also owe a BIG thank you to my sister, Jen, and my mom for all their help and guidance while making this. I might have called & texted them A LOT. How difficult was this for Rachel? Surprisingly easy! Combine all ingredients under sauce in a blender. Blend until completely smooth. In a very well greased roasting pan, place carrots & potatoes evenly along the bottom. Pour 1/3 of the sauce over potatoes & carrots and mix well so your potatoes don't burn in the oven. Place brisket on top of carrots & potatoes. Please ignore our leftover Halloween candy that made it into the upper right hand corner of the photo. Pour the rest of the sauce over the meat. Make sure to completely cover. Cover the pan in tinfoil and bake for at least 3 hours. Our oven cooks quickly, be sure to check your meat before carving, hence the slice in the middle. Your potatoes and carrots should also be very tender. Carve going against the grain, you may have to cut corner to corner.